I’ve made my reservations, have you? 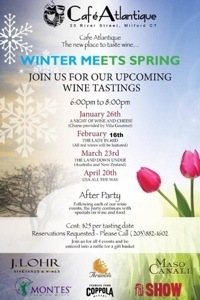 On March 23rd from 6-8pm Café Atlantique will be hosting their next event in their wine tasting series Winter Meets Spring: The Land Down Under. 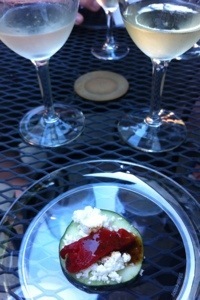 We went with friends for our first wine tasting at Café Atlantique a few months ago and we really enjoyed trying some new wines and having some tasty appetizers (see picture above). For more information check out their Facebook page, and to make reservations call: 203-882-1602.